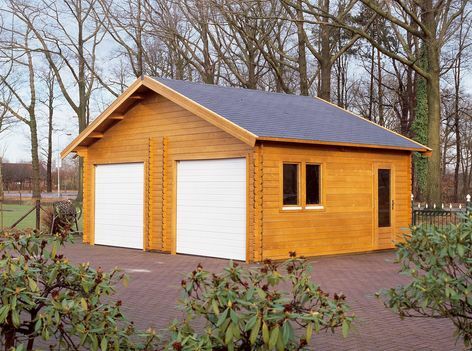 Lugarde timber Kent double garages available in two sizes in 44mm pine. The Kent features electric double doors as standard and the door and window are double glazed. 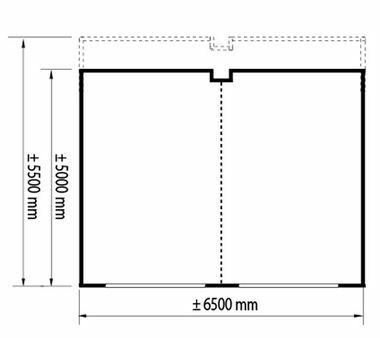 The standard package includes 2 sectional garage doors GD03, a casement tilt and turn double glazed window PE48 (inward opening) and a double glazed single door PE46H.